RootsIreland.ie has added more than 8,000 new records to its County Monaghan database. The records are predominantly church records from Roman Catholic, Church of Ireland and Presbyterian registers. 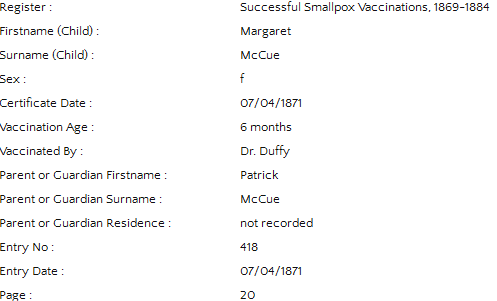 But there are also some graveyard records, civil marriage records and, a real surprise, a vaccination register (see below)!